He’s the latest casualty of Pakistan’s wild death penalty resurgence following last December’s bloody terrorist attack on a Peshawar school — leading Islamabad to break a moratorium on carrying out the death sentences that it was continuing to hand down. And how! According to the BBC, today’s hanging brings to 193 the total of people put to death in the little more than half-year since; Pakistan could stop hanging today (it won’t) and easily rank among 2015’s execution leaders by the end of the year. Though the first victims of the new policy were people previously death-sentenced for terrorism, and thereby at least thematically linked to the Peshawar massacre, Pakistan by March had dropped the distinction and commenced hanging prisoners by the fistful for ordinary crimes, too. Shafqat Hussain’s name has repeatedly entered the news cycle during that time, as he has faced and then avoided multiple execution dates, most recently this past June 9. Some have gone to the very brink, and seen the young man reprieved moments from donning his hanging-shroud. Hussain denied committing the crime laid at his door — the abduction and murder of a 7-year-old boy in the area where he worked as a watchman — but a confession “allegedly” obtained by torture doomed him. Guilt aside, the matter garnered worldwide headlines (and advocacy) largely on account of his youth: Hussain and his advocates say he was a minor of age 14 or 15 when arrested; Pakistani courts have found him to have been 23. (!) It is this dispute about the age that has been at the center of Shafqat Hussain’s recent heart-stopping cycle of appeals and stays. 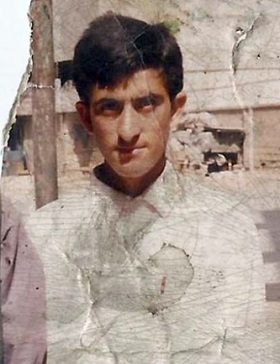 Shortly before his execution, Shafqat Hussain put his byline to a compelling first-person testimonial for CNN about life on Pakistan’s death row and the experience of nearing an imminent execution date. When the jailer tells me that my execution date has been set, he separates me immediately from the other prisoners. I spend all seven days by myself in a cell in the barracks for prisoners about to be executed. They conduct a physical exam every one of those seven days. They weigh me every day, take my blood pressure and temperature as well. On the last two days they also measure my height, my neck and my body for the clothes I am to wear when they hang me. One day before my hanging, they tell me about my final visit with my family and that I need to execute my will. I cannot really say what I am thinking in those last seven days. My brain is thinking all sorts of things. * According to a brother, who told AFP that “there is a cut mark on his neck and half of his neck is separated from his body,” they did not hang him very well.